What's new: Additions include LHP James Paxton, 2B DJ LeMahieu, SS Troy Tulowitzki and RHP Adam Ottavino. Gone are OF Andrew McCutchen and RHPs Sonny Gray and David Robertson. Cause for concern: Ace RHP Luis Severino will miss at least all of April recovering from right rotator cuff inflammation, and SS Didi Gregorius is expected to be out until at least June after undergoing Tommy John surgery in October. Greg Bird and Luke Voit offer uncertainty at first base. Projecting 2019: The Yankees begin the season with a few key players banged up, but full seasons of 2B Gleyber Torres (2018 All-Star) and 3B Miguel Andujar (27 HRs last year) give the team a sizable boost. LeMahieu and Tulowitzki provide valuable middle-infield depth while the trade for former Mariners ace Paxton (3.76 ERA, 208 K's in 2018) and return of fellow LHP J.A. Happ help give the Yankees a deeper rotation than last season. 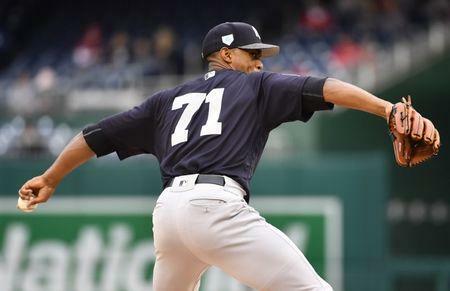 Add a once-again overpowering bullpen, and New York appears to be the team to beat in the vaunted AL East. What's new: No notable additions. Gone are RHPs Craig Kimbrel and Joe Kelly and LHP Drew Pomeranz. Cause for concern: The Red Sox take a major hit in the bullpen with the loss of Kimbrel and Kelly, leaving RHPs Matt Barnes (3.65 ERA in 2018) and Ryan Brasier (1.60) as the front-runners for the closer role. Longtime 2B Dustin Pedroia (knee) is a question mark after missing all but three games last season. Projecting 2019: Boston returns much of the offense from its World Series-winning roster. SS Xander Bogaerts and RHP Rick Porcello are free agents after the 2019 season, DH J.D. 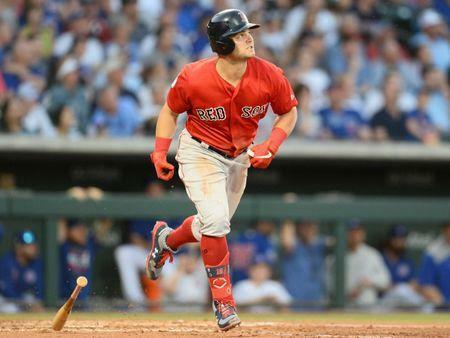 Martinez can opt out after this year and OFs Mookie Betts and Jackie Bradley Jr. hit the market in 2020, meaning the Red Sox's prime contending window could close fast. Slugging third base prospect Michael Chavis has offered a glimpse at the future with four home runs in 22 at-bats this spring. What's new: Additions include C Mike Zunino, DH Avisail Garcia and RHP Charlie Morton. Gone are DH C.J. Cron, RHP Sergio Romo and OFs Mallex Smith and Carlos Gomez. Cause for concern: How right-handed pitching prospects Brent Honeywell and Jose De Leon return from each undergoing Tommy John surgeries last spring is key to the future of the penny-pinching Rays, who open the season with the lowest payroll in baseball. Last year's team surprised with its "opener" strategy, but the league won't be caught off guard this time around. Projecting 2019: Nobody could have predicted 90 wins last season from the Rays, who rode a second-half surge to standings relevance. LHP Blake Snell emerged to win the AL Cy Young Award while prized shortstop prospect Willy Adames experienced success upon making his major league debut. OF Austin Meadows is primed for his first full season, giving the Rays a key player who could have them once again turning heads this year. What's new: Additions include SS Freddy Galvis, RHP Matt Shoemaker and first-year manager Charlie Montoyo. Gone are C Russell Martin, SS Aledmys Diaz, 3B Yangervis Solarte, RHP Marco Estrada and former skipper John Gibbons. Cause for concern: RHPs Aaron Sanchez (4.89 ERA in 2018) and Marcus Stroman (5.54) enter make-or-break seasons after each endured struggles last year. The offense features several unproven names as the team looks to move on from the Josh Donaldson era. Projecting 2019: All eyes are on baseball's top prospect, 3B Vladimir Guerrero Jr., when it comes to the Blue Jays this season. The 20-year-old has been shelved by an oblique injury this spring, though a midseason debut seemed most likely for the phenom as Toronto looks to slow his free agency clock. Across four minor league levels last season, Guerrero hit .381 in 95 games. The Blue Jays are primed for a rebuild, with Stroman, Sanchez and 1B Justin Smoak (25 HRs in 2018) all representing attractive options for contenders. What's new: Additions include first-year manager Brandon Hyde. Gone are OF Adam Jones, C Caleb Joseph, INF Tim Beckham and former skipper Buck Showalter. Cause for concern: Slugging 1B Chris Davis retains one of the biggest albatross contracts in the sport after hitting .168 in 128 games last season. He'll make $17 million this season (plus another $6 million in deferred salary) and is under contract at the same rate through 2022. Needing a bounce-back season, RHP Dylan Bundy has posted a 7.89 ERA through six spring starts. Projecting 2019: After setting a franchise record for losses last season, the Orioles cleaned house, parting ways with Showalter and executive vice president Dan Duquette. New faces in Hyde and general manager Mike Elias will guide the team to a full-scale rebuild, starting with the No. 1 overall pick in this year's draft. OF Yusniel Diaz, the headliner of last season's Manny Machado trade with the Dodgers, could make his debut after spending all of 2018 at Double-A.